Citizens alarmed last year by a plan to raise revenue by selling advertising on signs in city parks and recreation facilities may have thought those plans were safely dead and buried, but a little-discussed provision of a proposed new citywide sign ordinance appears to breathe new life into that much-maligned plan. The sign ordinance approved two years ago by the City Planning Commission (CPC)would have allowed large developments like shopping centers or college campuses to apply for a “Comprehensive Sign Program” allowing signs that deviated in size, number, and location from those generally allowed in the city. Signs displaying off-site advertising and digital signs would have been prohibited. The ordinance went to the City Council’s Planning and Land Use Management (PLUM) committee, but was never voted on. Instead, the city planning department made major changes, including a provision that allows digital and off-site signs as part of comprehensive sign programs as long as they’re not visible from the public-right-of-way or adjacent property. 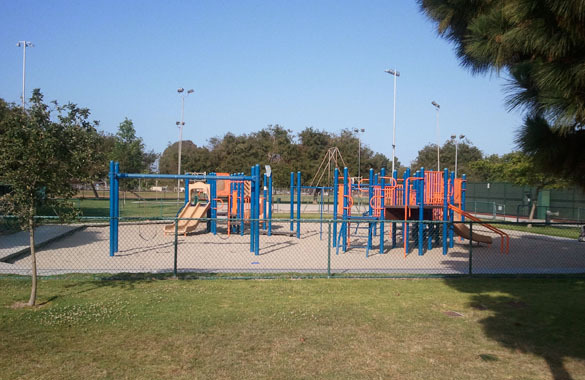 According to a May 11, 2011, letter from City Planning Director Michael LoGrande to members of the City Council’s Budget and Finance Committee, sites eligible for those sign programs could be cultural, sporting and city-owned facilities, including the L.A. Zoo and city parks. The PLUM committee is scheduled to take up the ordinance on Aug. 9. Whether or not the three-member committee will vote on the ordinance that day is unknown. The issue first surfaced late last year when the city’s Recreation and Parks Commission okayed a deal allowing signs for a Warner Bros. “Yogi Bear” movie in three city parks in exchange for $46,000. The commission reversed itself after public outcry, and an ensuing media investigation by KCET’s SoCal Connected series revealed that the commission, in partnership with the non-profit L.A. Parks Foundation, had detailed plans for selling advertising in many parks and recreation facilities, including such popular areas as Griffith Park and Ocean Front Walk in Venice. City Attorney Carmen Trutanich’s office also told the commission that such signs would violate the city’s ban on any new off-site advertising. Barry Sanders, president of the commission and a former corporate lawyer, complained that the City Attorney’s opinion was mistaken because the Yogi Bear signs were unrelated to the movie, even though the images were identical to those used in marketing the movie and were to have been displayed for the month leading up the movie’s opening. According to the new ordinance, the off-site signage in a comprehensive sign program would be limited to 10 per cent of the total signage in the affected area. Surrounding property owners would have to be notified, and a public hearing held by the CPC before the program could be put into effect.